So unusual, don't these large, whole Paua shells display such lovely iridescent colours in this pretty necklace? Each shell is uniquely beautiful. 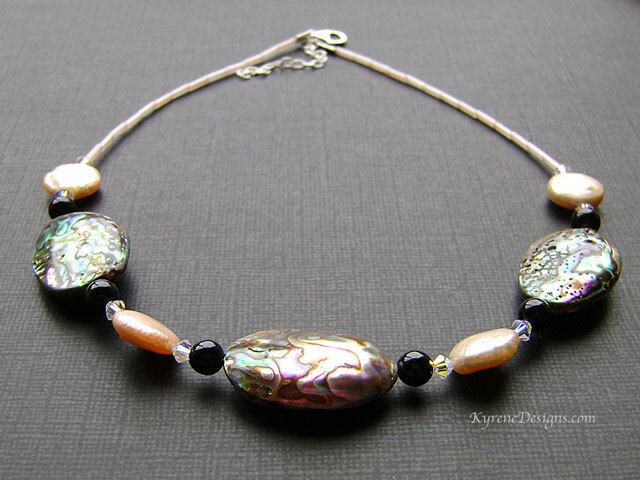 Shells are mixed with natural colour apricot freshwater pearls, black agate and CRYSTALLIZEDTM - Swarovski Elements. 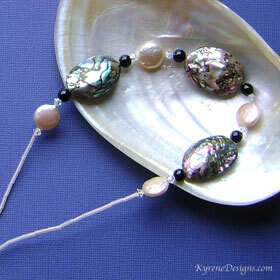 This necklace goes perfectly with the Reef Shell or Coin Pearl earrings. Length: 16 inches plus 2" sterling extender. Sterling silver trigger clasp. Paua shell 30mm.